There are no photos with those IDs or post 13451 does not have any attached images! 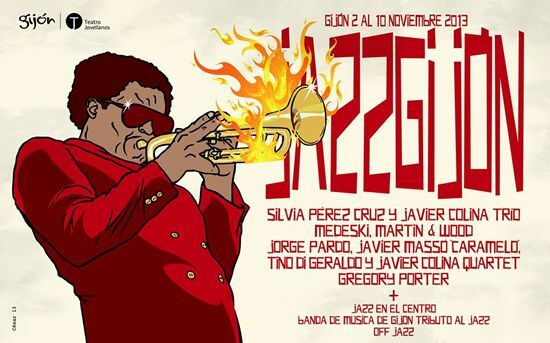 Jazz can be a good excuse for you to approach this fall, between the 2 and the 10 from November to Gijón. We facilitate the schedule, schedules and rates for you to plan your getaway. All the performances are at the Jovellanos Theater. All highly recommended. Do not miss it! November 2 Saturday, 20.30 h.
Silvia Pérez Cruz is one of the most important voices of popular music in our country. Delicate and warm voice, the same goes with jazz, with flamenco, fado or pop. Versatility that has led him to participate in musical, theatrical and dance projects, with names like Duquende, Chicuelo, Jerry González, Refree, Israel Galván, Sol Picó or Joan Ollé. November 3 Sunday, 20.30 h.
"Alternative" jazz that knows how to connect with the youngest audience, being a mass phenomenon in the USA. His artistic career began in the eighties collaborating with John Zorn, John Lurie and Bob Moses, among others. Friday 8 November, 20.30 h.
The happy reunion of this quartet of exceptional musicians has given as fruit a repertoire full of Afro-Hispanic-Caribbean rhythms, which sound with their own character in their instruments. November 9 Saturday, 20.30 h.
His voice is considered one of the most important in contemporary jazz. And is that his first album, Water, gave him a nomination in the Grammy Awards and the prestigious British magazine Jazzwise gave him the number 1 in its annual list of 2011, being the first time this title goes to a vocal album. November 10 Sunday, 12.00 h.
Over one hundred and thirty years of history, it is currently a training with fifty-six musicians, who under the direction of David Colado have managed to win the Grand Prix "Golden Lyre" at the International Music Band Festival of Rybnik (Poland ) obtaining the highest score in the entire life of the Festival. November 10 Sunday, 20: 00 h.
Presentation of the new albums of both formations.